Here is my latest article featured in HWS Magazine. 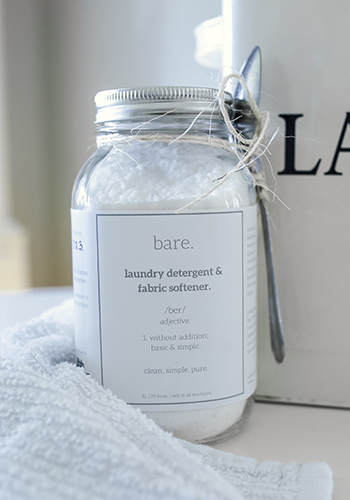 Spring Cleaning does not have to be stressful with my tip and tricks. It’s my favourite time of year: spring-cleaning! Let’s talk about this daunting task and discuss tips and tricks to make this project more enjoyable. 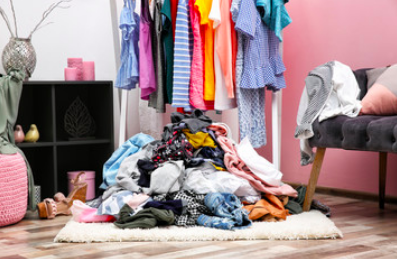 It may be an occupational hazard, but I personally love spring-cleaning – the feeling of being productive, the sense of satisfaction while cleaning and the reduced levels of stress. Not everyone is like me, in fact, many people are afraid of the idea of spring-cleaning. Let’s face it; tackling all areas of your home is a scary thought. What people need to know is that a tidy home is also a healthy home. According to the American College of Allergy, Asthma and Immunology, thoroughly cleaning your home will help eliminate allergens. This is especially important for those who are sensitive to indoor allergens and during the spring when pollen is an issue (ACAAI, 2014). Most people also associate spring-cleaning with bleach, disinfectants and harsh cleaners but I want to change that. When Miss’es Clean, made the decision to go green almost ten years ago, our purpose was to introduce a safe way of cleaning to our customers. When we chose to expand our retail space, our mindset was the same; offer cleaning products that are not harmful or hazardous. 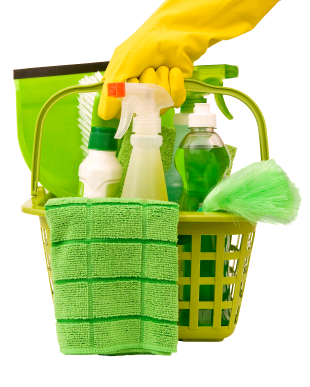 It is possible to completely clean your home safely and naturally. Let’s begin. First, there’s the obvious: dusting, disinfecting, vacuuming and organizing. Take everything off your shelves and give the shelves and each item a good wipe down. Microfibre cloths are great for this task. The cloths will attract and pick up all of the dust while you clean. Be sure to disinfect all door handles and light switches and to vacuum your carpets, rugs and furniture, getting into all the cervices while doing so. When it comes to organizing, remember the golden rule – if you haven’t used it in over a year, consider letting it go. My famous tip for clothing is flipping your hangers the other way. After a year, if the hanger remains that way, it’s time to let it go. 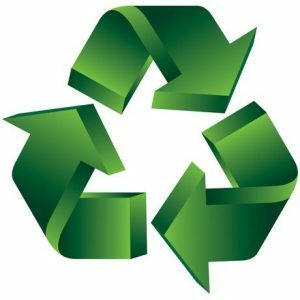 Another rule – if you are not using it, don’t store it! Before you throw something away, consider donating to someone in need. There are so many organizations looking for new or gently used items in your local area. Then there are things you forget to clean (or like me, try very hard to avoid). When cleaning a room, always work from top to bottom. Use a high duster to remove cobwebs and dust the hard to reach areas. My personal favourite is the Norwex high duster available at Miss’es Clean. The fibres attract the dirt and dust rather then moving it around. Then tackle the dirt and grime on your walls. You wouldn’t believe how dirty your walls can get! Window screens are a trap for dust and allergens. Be sure to wipe down all windowsills, tracks and screens before opening a window for fresh air. Another forgotten task is cleaning your mattress. Go over your mattress with a vacuum and wash your mattress top in hot water. Consider flipping your mattress at least once a year. This will extend the life of the mattress and help with harmful body impressions. Other tips to eliminate dust and allergens in the home are to take your cushions and upholstered furnishings outside and gently beating them to remove dust. Finally, remove carpet stains with a good deep clean of all carpets and rugs in your home. Spring-cleaning is also the time for home safety checks. Check the batteries in your smoke detectors and carbon monoxide detectors to make sure they are working properly. As you begin to dive into spring-cleaning, remember my most important tip. Be realistic. This is not a one-day task. Take breaks, relax and enjoy. For a complete cleaning checklist, please visit www.missesclean.ca. The Miss’es Clean Guarantee: We want you to know how important you and your satisfaction as a customer are to us! If for any reason you are not happy with services provided by Miss’es Clean please contact us within 24 hours of your scheduled service so we can make it right! All Miss’es Clean services are under a full 100% satisfaction guarantee when the minimum recommended time is booked. Built with love by Hughes & Co. Inc.